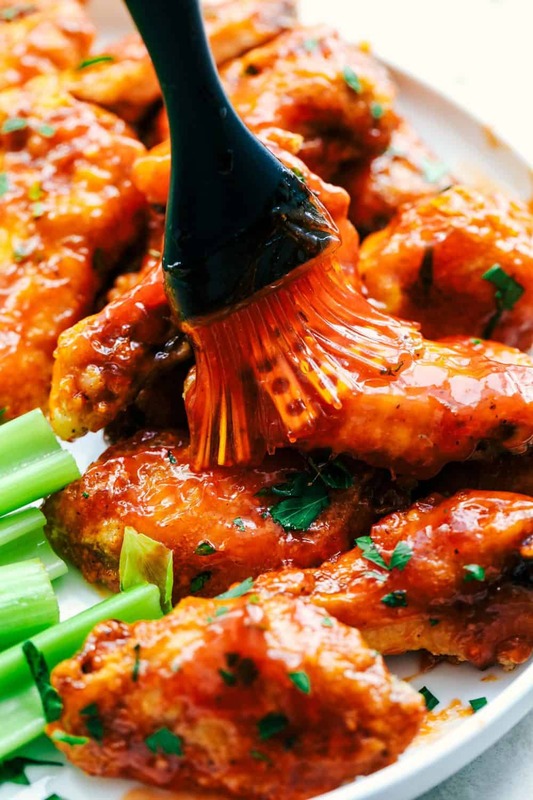 Baked Sticky Honey Garlic Buffalo Wings are baked to crispy perfection and topped with the most amazing honey garlic buffalo sauce. These are finger licking good! Football season is here and the hubby is sure excited. Between him finishing his last semester in school and football season now here, I hardly see him. We just had our big state rivalry game between BYU and the U of U. We cheer for the Utes here and mainly because that is the school my hubby will graduate from. But he is such a die hard fan. He even has the baby wearing U clothes on game day. Wings are an absolute must on game day. Am I right? My son is one of the pickiest eaters and he LOVES wings. So they are always making their debut on game day at our house. And I have got the most delicious baked crispy wings to share with you today. And let me tell you… you will not find a better sauce combo for these wings! I am a wuss when it comes to anything hot. So I loved the sauce that glazed these wings. The honey and brown sugar helped to cool it down and give it a little sweet while still have a little bit of a kick to it. This was honestly the best sauce that I have ever had on wings! 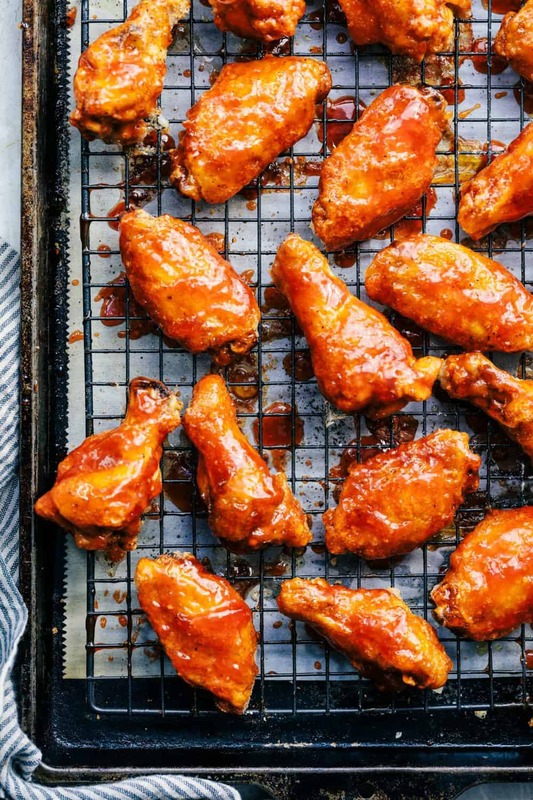 You are going to love these crispy baked wings and the finger licking good sauce! They will be a hit at your next football party! Preheat oven to 400 degrees. Line a baking sheet with parchment paper or aluminum foil and lightly spray with cooking spray. In a ziplock bag add the wings. Add the baking powder, garlic powder, salt and pepper and shake to coat evenly. Place them on your prepared baking sheet. Bake in the preheated oven for 45-50 minutes or until crispy and no longer pink. 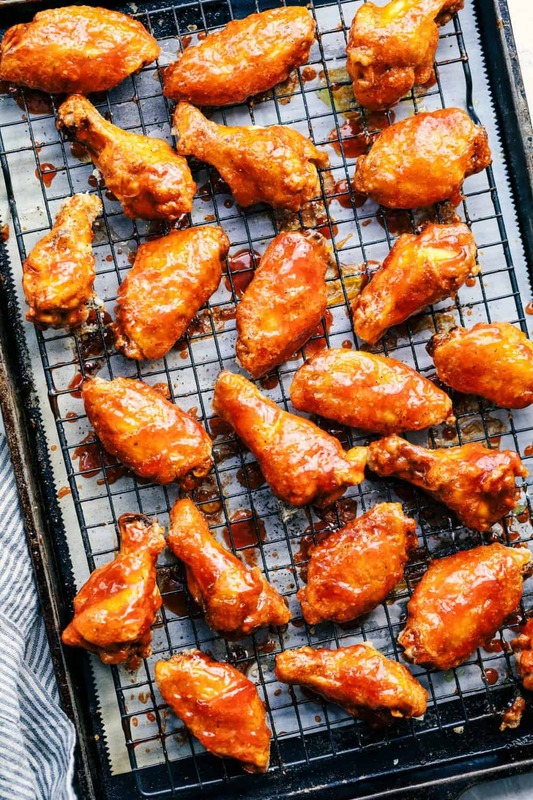 To make the Honey Garlic Buffalo Sauce: Right before the wings are done, in a medium saucepan, add the buffalo sauce, honey, brown sugar, worcestershire sauce and cornstarch. Whisk on medium high heat for about 3-4 minutes or until it has thickened. Baste on the wings. I made these tonight and they were DELICIOUS!!!!!! I ended up making two batches of the sauce: one spicy and one not so spicy. They were SOOO yummy!! I’m making this tonight for my family! Cant wait to try it! I really like your website. Your recipes look so good. I tried to print them out but it isn’t working for some reason. Do you have any suggestions? Thanks for letting me ask you. I will be waiting to hear from you. The winner at yesterday’s Super Bowl??? 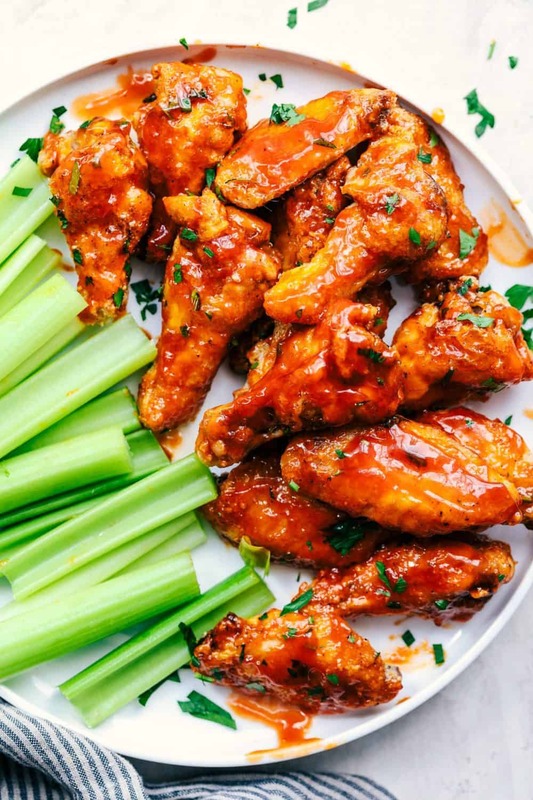 Baked Sticky Honey Garlic Buffalo Wings!!! Usually I order wings the day before but this year I wanted to try your recipe. So easy, so tasty!! Our family all agreed that this must become one of our “tradition” foods. Thank you! !